BAMAKO - West Africa's regional bloc has put standby forces on alert in case Gambian president Yahya Jammeh does not step down when his mandate ends on Jan. 19, ECOWAS commission president Marcel de Souza said. "We have put standby forces on alert if he does not (step down) on Jan. 19 when his mandate ends," De Souza said on Malian state television on Thursday evening. "No one has the right to oppose the will of the people." Barrow's surprise victory and Jammeh's initial decision to concede after 22 years in power was seen across Africa as a moment of hope. But the president changed his mind a week later and said again on Tuesday that he would not step down, rebuffing efforts by West African leaders to persuade him. 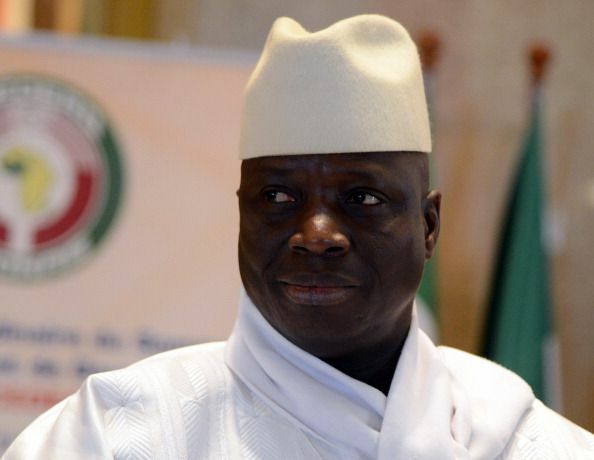 Jammeh's camp could not immediately be reached for comment, but he has said the electoral count was flawed and that ECOWAS has no right to meddle in Gambia's internal affairs. The regional bloc has mandated Nigerian President Muhammadu Buhari as mediator to offer Jammeh an "honorable exit", but if he does not take it then forces might be deployed, De Souza said. The BBC quoted De Souza as saying in an interview that Senegalese troops would lead any military intervention. Senegal is Gambia's only territorial neighbor and has a frequently stormy relationship with the country, having sent troops there during a 1981 coup. Barrow's supporters suggested on Thursday that the president might not immediately be prosecuted for alleged human rights abuses during his rule. "Justice is absolutely essential ... but we are going to take the route to truth and reconciliation," said coalition spokesman Halifa Sallah at a meeting with the African Bar Association. Gambia's Supreme Court will hear a legal challenge on Jan. 10 from Jammeh's ruling party which wants to overturn the election result.